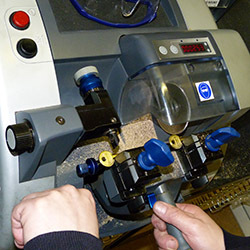 At AC Leigh we have over 150,000 blanks in stock at any one time so there is every chance we will have the correct blank and we have all types of different key machines. 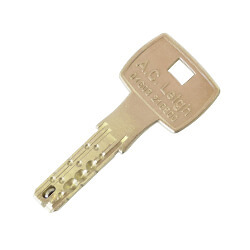 AC Leigh are the largest key cutting centre in East Anglia with over 150,000 blanks stocked. Locks repaired and keys cut. Garage and cabinet keys cut to code. You can use our on site parking facilities to leave your car safely with us. We will diagnose directly from your car and use this information to safely and securely programme a new car key. Depending on the age of your vehicle will depend on the level of service your new key will need. 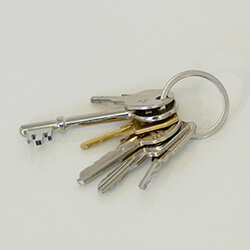 We specialise in producing a range of new and copy keys. Our state of the art key cutting facilities are able to produce a duplicate key for your car that is as it would be from the factory. Our machine will calculate the original factory depths of the key, producing a key as good as it was from the factory from your used key. We can quickly and cost effectively program the chip and remote in your new car key to leave you with a fully functional car key. The chip and transponder device that communicates with the immobiliser of your vehicle will be programmed along with the remote. Call us on 01603 216504 for a quote. We’ll need the Make and Model of your car as well as the original PIN which came with the vehicle. If you don’t have this we can get all the information we need from your Vehicle Identification Number(VIN).